Pulve is a new way of food. It will save you time and energy, arguably, two of the most valuable assets. No more grocery shopping, cooking, doing the dishes or being tempted to eat unhealthy snacks. Each meal shake provides you with 500 kcal worth of nutritional nourishment. 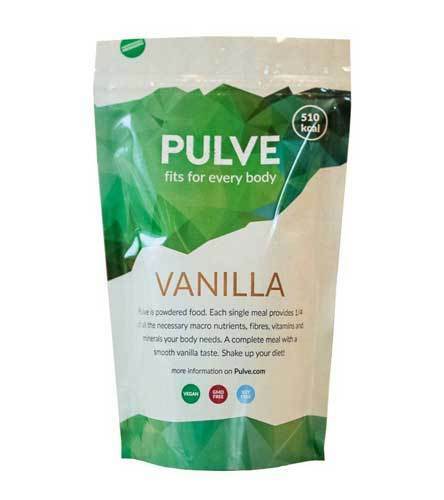 Pulve holds all the recommended nutrients your body needs per day to stay strong and fit. A satiating meal with a smooth vanilla taste!